As one Westfield High School student put it — and several others echoed — Derrick Nelson lived to help people. He was omnipresent in the halls, smiling and laughing, and offered sage advice. It was one of several memories and stories shared in a vigil Wednesday night outside Westfield High School, where Nelson served as principal. Nelson, 44, died Sunday from complications of a bone marrow donation procedure he underwent in February. Stem cells were to be taken from the marrow to help a 14-year-old boy in France. But during the procedure, Nelson went into a coma. The students found out about his death on Monday, and school has felt different the past few days. But the student government that Nelson loved to be involved with got together and organized the vigil. It felt like the whole town was waiting as Nelson’s relatives walked down the stairs outside the school’s auditorium. At least 3,000 people showed up, based on the number of candles handed out, police Chief Christopher Battiloro said. Sheronda Braker, Nelson’s fiance, looked out at the roughly 3,000 little flickering flames and snapped a few pictures with her phone. Later, she thanked the crowd for coming and for the “outpouring of love and support” she had felt from the community. The student government leaders spoke in turns about Nelson. He was a big presence in the halls, and you could tell he cared, they said. When talking about the school prom, he’d promise “big, big fun.” That drew smiles from the crowd. “His passion made the beige walls of our high school feel vibrant,” a student said. “He has truly left a handprint on all of our hearts,” another added later. They mentioned his military service, 20 years in the Army Reserves, where he was an officer. 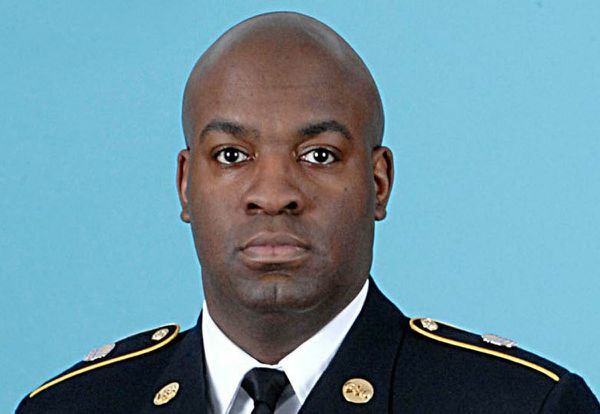 “He was selfless with his students, he was selfless for his country,” a student said. Nelson had talked to the Westfield High student newspaper before the procedure. “If it’s just a little bit of pain for a little bit of time that can give someone years of joy, it’s all worth it,” he said. One student who can attest to that is Cyr Pavleszek, a junior. Nelson saw to it personally that he felt safe when dealing with a stalker. He got an aide to protect them, and made sure Pavleszek, who was in and out of school during the ordeal, could stay on track to graduate. “He always made sure I was safe. … He really went out of his way,” he said. A petition asking for Westfield High School to be renamed for Nelson garnered thousands of signatures. There were two viewings next week at St. John’s Baptist Church in Scotch Plains before a funeral Tuesday morning. -Reporter Chris Sheldon contributed to this story.